But on the up side, as Jim's brain recovered, he started getting many, many, many ideas... So many ideas that it kept him up countless nights. His brain, it seemed, had more room now, and Jim had changed to be more driven and entrepreneurial. 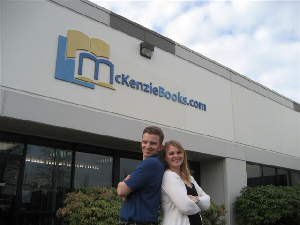 With the new brain power, a bit of research, and the prior experience with McKenzie Books, Jim created Cash4Books.net in the winter of 2003-2004. While working at Freightliner, Jim worked to design and develop Cash4Books.net on evenings, late nights, early mornings, and weekends. 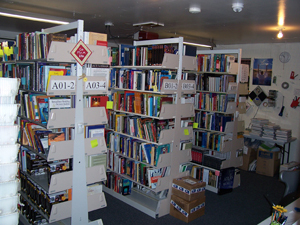 Cash4Books.net was launched in March 2004. Cash4Books' first customer was a doctor at OHSU (where some flyers had been posted). 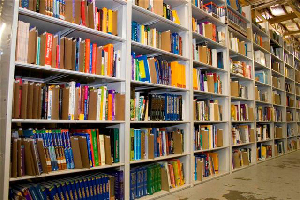 The doctor sold Cash4Books some medical textbooks, and Jim personally went and picked the books up at his home. While the business was still in the apartment, Jim's mother Nancy began helping, as well as Breanne's sister Crystalyn.